Gorgeous, extra long yummy smelling aromatherapy dance necklace. I wear one exactly like this most days. A drop of your favorite essential oil will produce a nice scent for days. 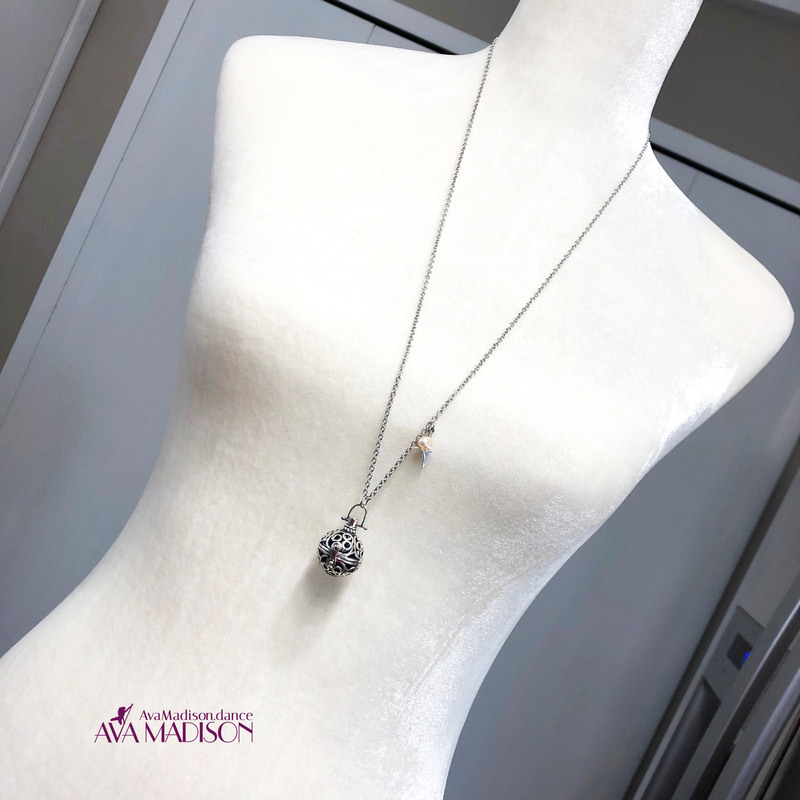 31 inches of extra long, durable chain secured with a toggle clasp and garnished with a perfectly cut bird charm and a hand-wrapped freshwater pearl. 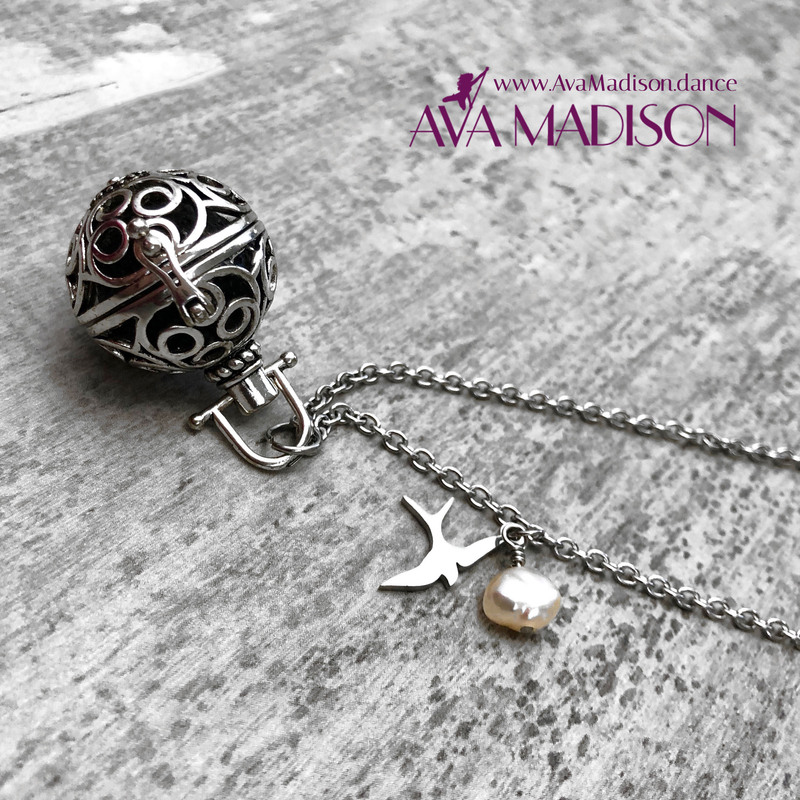 The aromatherapy ball houses a lava stone (accessed by front clasp) which you can place a drop of your favorite essential oil upon to enjoy throughout your day. Solid and sturdy, elegant and dainty, this simple yet dynamic piece is a head turner that everyone wants a second look at!